Courtesy of Ilene Mirman Realty Inc.
A picture perfect setting nestled between the Gulf of Mexico and Fiddler 8217;s Bayou. Sliding walls of glass in every room bring you views of nature. Open spaces, lite filled rooms, and a very special Artist space with a pale palate of turquoise and cream is one of the unique features of this resort styled contemporary home. The living room, dining room and kitchen are combined to create a gracious feeling. The family room with a separate complete bar finishes the entertaining areas. 13; 13; Expansive outside decks on all levels create indoor/outdoor living. There are two Master en Suites bedrooms each containing a Jacuzzi tub and separate walk in shower. The second two bedrooms are generous in size and are also en suite. 13; 13; An elevator stops at all levels beginning at the open garage space that also houses an Air Conditioned workroom and an enclosed outdoor shower for the pool area. 13; 13; The natural gas heated salt-water pool and hot tub open to the Gulf for those nightly Tropical Sunsets. 13; 13; A masterpiece of views and seclusion with a move in ready feel, will make this the choice for you. 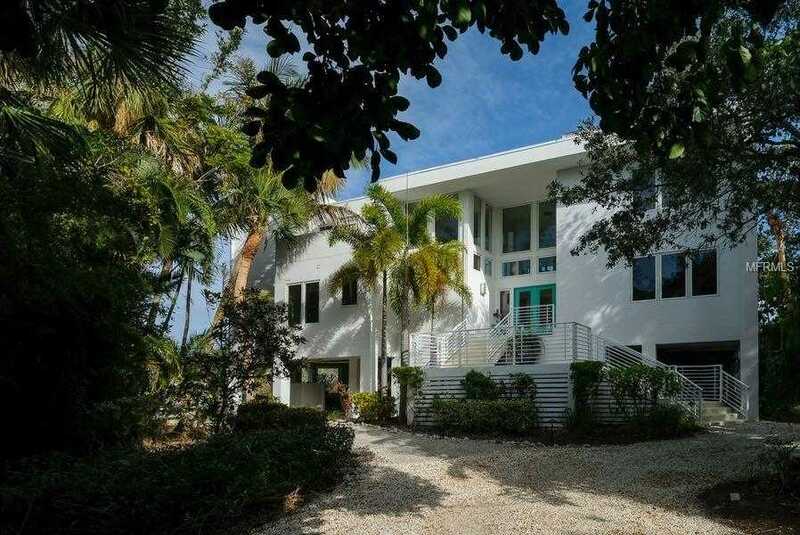 Please, send me more information on this property: MLS# A4208641 – $4,485,000 – 111 Ocean Pl, Sarasota, FL 34242.